or various Electrospindle Heads. 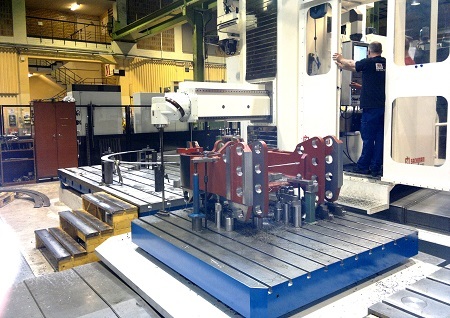 It is also possible to install a rotary table for workpieces up to 3 tons and/or a torque motor driven turning table. WS Series Multi-Purpose In-Line Boring Machines from Sir Meccanica (Italy) offer high precision portable In-line boring from 22mm to 1700mm, Internal and External Rotary welding: (also for blind holes and may be combined with any type of wire welder), Drilling, Tapping, Facing, Bosses, External machining and creating circlip grooves. 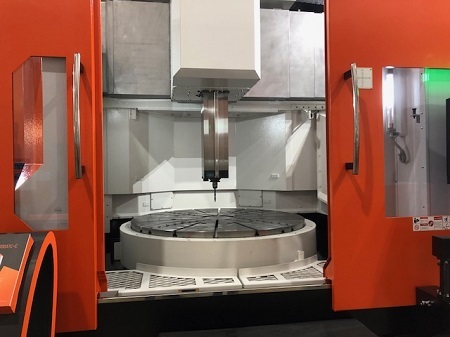 Ajax FEL2800 CNC Lathes 720mm or 800mm swing with lengths from 1100mm up to 5600mm. Spindle bores of 105mm, 130mm and 160mm. Thread Repair, C axis with live tooling and many other options available.